Polar GPS running watch M430 is a training computer with pulse measuring on the wrist, integrated GPS, advanced training functions, and 24/7 activity tracking. Waterproof, technically-advanced Polar GPS running watch with pulse measuring on the wrist! Completely integrated, visual heart rate sensor makes pulse measuring possible without chest strap or finger sensor - for the first time! 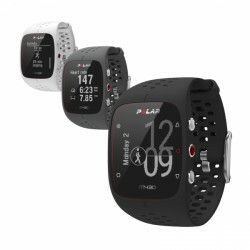 Get more information about performance features of the Polar M430 and differences to the Polar M200 and the Polar M400 in the detailed product comparison of these sport watches. Being the successor of the Polar bestseller, the M400, the Polar M430 is presenting to the runners' world! The Polar M430 is a waterproof running watch with visual pulse measuring on the wrist, integrated GPS, complete and advanced training functions, and 24/7 activity tracking - ideal for ambitious and performance-oriented runs and training sessions as well as an active, sporty everydaylife. Completely integrated, visual heart rate sensor makes the pulse measuring possible without a chest strap! The visual pulse measuring is directly done on the wrist with the technology with six LEDs, which is developed by Polar. 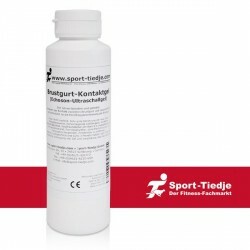 Due to this function, now the approved Polar Fitness Test for measuring the aerobic fitness (with OwnIndex®) without an additional chest strap is made possible. The advanced Polar Smart Coaching functions, by which the Polar M400 already convinced as previous model, are entirly designed for training and running. Functions like the automated and manual recording of laps, the automatic break, the stop watch or the interval timer, the calculation of the target time or the detailed Polar running programmes are ideal for the performance-oriented running optimisation. The Back-to-Start navigates you back to the starting point in unknown regions. Due to the integrated GPS, pace, distance, and height are measured. If GPS is not available, for instance during indoor activities, speed and distance are measured onthe wrist via the acceleration sensor of the Polar M430. The new Polar M430 design in different colours convinces by the sporty wristband made of soft material. In combination with the new display views, the Polar GPS running watch M430 fulfills all requirements with respect to the watch. The approved Polar Smart Coaching functions include Smart Calories, the inactivity alarm with vibration, the 24/7 activity tracking, sleeping duration and quality, and Smart Notifications directly from the smartphone. Probably the best GPS watch in the market now in terms of value for money. Easy to use and I like that you can really customize the screens you see during the workout. GPS and hearth rate sensor is accurate. Highly recommended! Polar Bluetooth Smart speed and cadence sensor In stock!